In celebration of Charlotte's birth. I am hosting a big giveaway with a few of our FAVORITE THINGS!!! These are items that Miss Charlee either wears or has in her nursery! We now own 3 pairs of FP Picked Moccasins and I can't wait to get her little feet into them!!! I love how Charlee looks in Lot801's knot headbands, and we always get compliments on them. 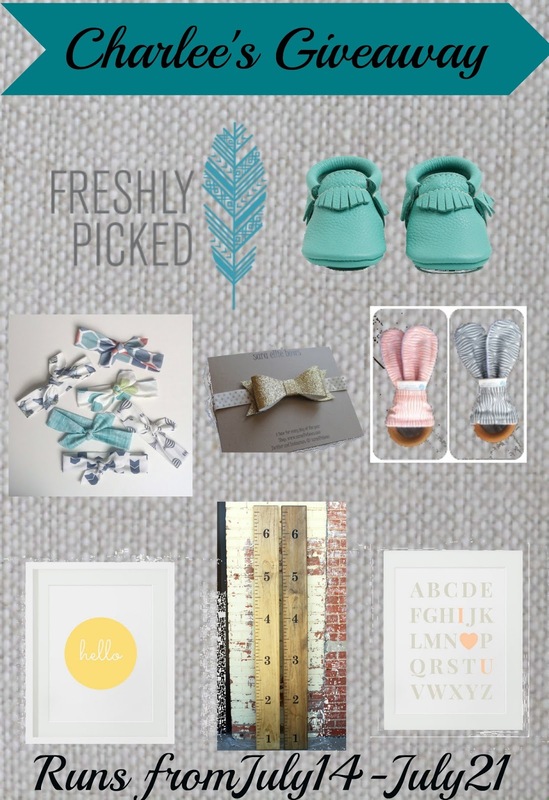 AND they are totally trendy right now and who doesn't love a trendy baby? You can't go wrong with the gold bow headband, gold is the perfect accessory! Carolyn made our crib bedding and the quality of her products are amazing, and these teethers are topnotch! 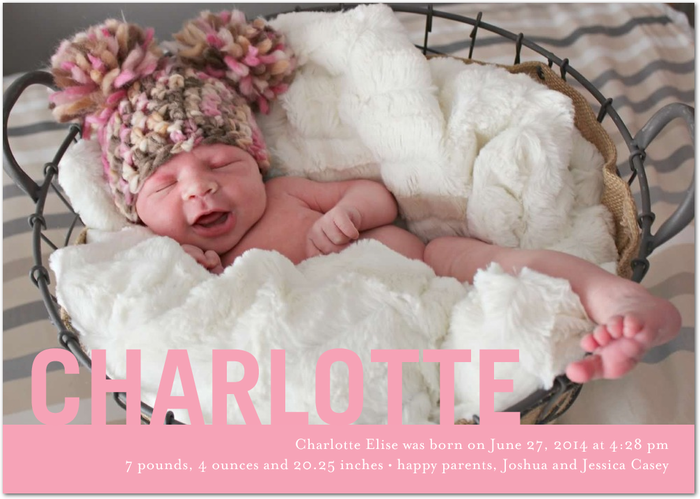 The printables from ColourMoon were a perfect finishing touch to Charlotte's nursery. And the DIY growth ruler will make the best memories for our sweet girl (and us as she gets older) and is a great conversation piece in our nursery. This giveaway is open to US residents only and the winner cannot have won any other giveaway including Freshly Picked moccs within the last 60 days. 4. Tag 2 friends in my original post. The giveaway runs from 9:00am 7/14/14 to 12:00am 7/21/14, and the winner will be chosen on 7/22/14 and announced via Instagram. If you have any questions, leave a comment below, and GOOD LUCK! UGH! I have tried to leave this comment 2x now!